The Dallas Cowboys will begin gearing up for their pre-draft visits including Dallas Day, their "national 30 visits," and will make visits to college campuses for pro-days over the next few weeks. The Dallas Cowboys have already begun meeting with players and attending pro-days. Last week, Cowboys coaches and scouts were in Houston visiting the Cougars' pro-day. While most of the focus from NFL teams was on top of the draft talent, Ed Oliver, the Cowboys had Cornerback Isaiah Johnson in their sites. The relationship between the Cowboys and Johnson seems to be heating up as Johnson reportedly introduced his family to Cowboys Defensive Backs Coach Kris Richard. You know things are getting serious when you bring your special friends home to meet your parents. It's a relationship that appears to blossoming this Spring as the football world gears up for the 2019 NFL Draft. It was the second time in the last month that the Cowboys spent significant time with the cornerback after having a formal meeting with Johnson at the NFL Scouting Combine in Indianapolis. He's a raw player. 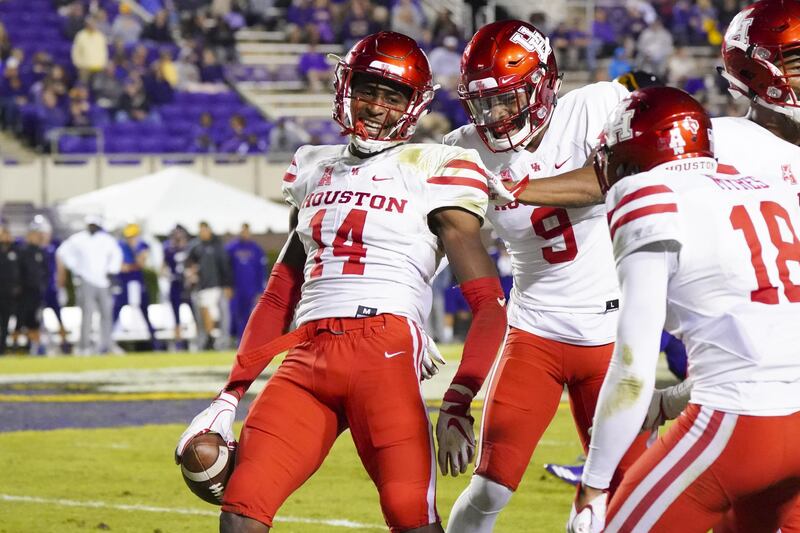 Johnson only made 22 starts at cornerback for the Cougars after converting from wide receiver between his sophomore and junior seasons. Johnson had two interceptions in each of his junior and senior seasons for the Cougars. For this film study I looked at games from the 2018 season against Memphis, Rice, and Texas Tech, and then took a look at his game against Temple from 2017. Isaiah Johnson's size is the first thing that stands out. He uses a one arm stab at the line of scrimmage to disrupt the route of the receiver before beginning his back pedal in coverage. The Cougars used Johnson primarily at right corner back, but he got significant playing time at left corner as well. He also played a few snaps in the slot and a few snaps at safety. Houston didn't ask him to be a press man corner very often, instead using that quick jab at the line of scrimmage to slow the wide receiver's get off. Was used a lot in cover-3 for the Cougars to limit big plays down the field. Johnson moves well for his size and is willing to put his head down and tackle. Was really good at bringing the ball-carrier down once he made contact. Plays better with the receiver in front of him than when playing chase coverage. Mirrors his receivers well in man and can carry them across the formation when necessary. He has good start and stop to come up in run support after his drop and to break on the route. Shows very soft and natural hands when challenging the ball. His interceptions were smooth and easy. Wasn't fighting the ball. Was pretty tight in man coverage. The only routes that he appeared to allow consistent separation were comeback routes, but several of those times, he was playing off coverage and was able to get to the receiver to limit yards after the catch. On screens and in outside running plays, Johnson maintained good discipline by not allowing the runner to get outside of his containment, trusting his team to be there. Very willing tackler in run support. Doesn't seem to shy away from contact. Form tackler that doesn't go for the runner's knees. He needs some more experience and technique work to gain more confidence. Needs to trust his length more. Several times he was flagged for grabbing the jersey of the opponent to prevent getting beat. Several catches he gave up were with his back to the quarterback and he didn't turn around to play the ball. Some refining of his technique will help him to use his length better. Isaiah Johnson is an intriguing prospect that combines really good height and length with a natural ability to play football. He's a project player at this point in his career after making the transition from wide receiver just two-years ago. With NFL coaching and some patience, he could be a starter in the NFL. He'll likely be a fourth or fifth round choice and that's where I'd feel comfortable taking him as a developmental player. Kris Richard has had success in developing cornerbacks drafted in the later rounds with the Seattle Seahawks and Isaiah Johnson could be the next player to benefit from his coaching. He's a project player, but someone who has the tools that could help him develop into a starting cornerback in the NFL.